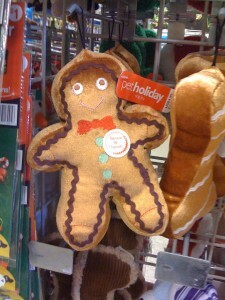 Why wait for Christmas to give your puppy dog a fun toy! 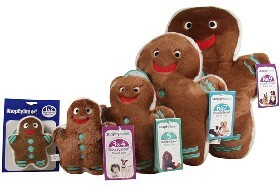 5 sizes to select from so your tiny, tiny pooch and bigger dog can each have their own. “Run, run, as fast as you can, you can’t catch me I’m the Gingerbread Man!” Soft fleecy Gingerbread man says his rhyme and taunts your dog to squeeze him again. Details here.